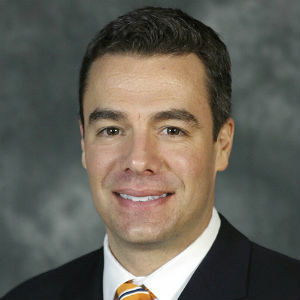 Virginia basketball coach Tony Bennett has a problem. Well, maybe not so much a problem, as a challenge. His Cavaliers have three post players vying for what is usually one spot. While Virginia starts with two of these three big men — Mamadi Diakite and Jack Salt — on the floor together, the Cavaliers rarely employ a two-big-man lineup. The starting lineup of Ty Jerome, Kyle Guy, De’Andre Hunter, Diakite and Salt has played 20.1 percent of the available minutes over the past five games. The other 80 percent of the minutes have featured one of Diakite, Salt or Jay Huff at center and either Hunter or Braxton Key at power forward. That’s perfectly fine. Playing with just one true big man allows more defensive flexibility and usually means there are four players who can space the floor and handle the ball. Most teams play this way because of those advantages. North Carolina State, for example, takes that mentality to the extreme, often playing four guards around a single big man. But Virginia is not like most teams. The Cavaliers are different in nearly every way, from their airtight pack line defense to their mover-blocker offense and everything in between. Any minute detail — from a poor screen to a botched hedge — can cost a big man playing time in Bennett’s system. It’s why an athletic, talented guy such as Huff has struggled to see consistent minutes until recently and an unspectacular, gritty veteran such as Salt has started every game he’s been healthy for the past three seasons. The good thing is that this is what the regular season is for — figuring out who can contribute, what they can contribute and against whom they can contribute. Right now, Bennett is still continuing to figure that out, and the sample size with Huff in the rotation remains small, so this will be an ongoing study for him and the rest of the coaching staff. Let’s start with Salt, the stalwart post defender and screen-setter extraordinaire. Salt is a big human being who does the little things well. He frees Virginia’s shooters with bone-rattling screens. He is one of the nation’s best at defending shots without fouling. And despite a relative lack of post moves, he is a solid finisher around the rim. Against North Carolina State, Salt made both of his shots and drew fouls on both as well. But we also know what Salt isn’t. He in no way, shape or form stretches the floor, and, on the other end, he lacks to foot speed to keep up with big men who can play on the perimeter. Diakite is a much-improved player this season, especially in conference action. He is a dunking machine who has made significant strides finishing at the rim, and he has shown signs of a face-up game that extends to the three-point line. Of Virginia’s three bigs, Diakite is far and away the best perimeter defender and individual shot-blocker. He’s not as strong as Salt is down low and not as good of an off-ball screener, but his athleticism helps make up for that. And finally we have Huff, for whom fans yearn more minutes. One thing that goes under-recognized is that he’s 7-foot-1. That’s a very legitimate difference from 6-foot-9 (Diakite) and 6-foot-10 (Salt). He is a really, really tall guy with long arms that contest shots and catch lobs. What he lacks in both perimeter defense and post strength, he makes up for in skill and length. Did I mention he’s 7-foot-1? A lot of his blocks come from him simply extending his arms. It is hard to use traditional stats to evaluate Virginia’s big men completely. How does one measure a textbook box-out from Salt or a perfect hedge from Diakite? Here, though, are some advanced numbers that make the evaluation process a little bit easier. These numbers are from conference play only, and it’s important to remember that Huff has only played enough minutes to gather stats in five of the eight games. Leaders are in bold. It’s important to take these stats, too, with a grain of — for lack of a better term — salt. Huff’s stats often come against opponents’ reserves, while Diakite’s and Salt’s often come against starters. That’s not to diminish what Huff is doing, but it is worth remembering. Furthermore, as I mentioned earlier, it’s impossible to take these numbers and conclude any of the three is really a “better” rebounder, even though Huff’s defensive numbers are superior. If Salt or Diakite execute a perfect blockout and a guard swoops in for a defensive rebound, that doesn’t mean the blockout is worthless. Case in point: Kyle Guy has a higher defensive rebounding percentage than Diakite does, but no one would argue he’s truly a better rebounder. That’s not to say Huff is a bad rebounder — he has certainly progressed a long way in that area — but the drop-off in offensive rebounding with Huff is far greater than the increase in defensive rebounding. Huff is a curious case. His offense is tantalizing. On one of Virginia’s most important possessions against NC State — the one immediately following a Markell Johnson three that opened overtime and gave the Wolfpack its first lead of the game — Huff threw down an alley-oop through a foul and made the free throw. That’s not a play Salt makes and one that would have been considerably more difficult for the shorter Diakite. But also consider that Huff, at his current rate, would foul out in roughly 26 minutes of action. Defending without fouling is the next step in his development. For now, it seems like Salt is the man to go to against a big, strong post scorer — think Bruno Fernando at Maryland, when Salt played a season-high 34 minutes. Diakite is the man to go to against a quicker big man who can play away from the post — think John Mooney at Notre Dame, when Diakite played arguably his best game of the season. Huff is the man to go to when the offense needs an injection of life and skill — think Clemson or NC State. What remains to be seen is how Virginia treats a situation in which it is struggling to score but also facing a tough opposing big. Duke would be the best example if you consider Zion Williamson a big man in the basketball sense. Huff did about what the numbers say he would do: Four points and two blocks (good) but two fouls (bad) in just seven minutes. Diakite struggled and Salt had a pretty typical line: five points and three rebounds. The most important thing is that, like individual player improvement, rotation tweaking is an ongoing process. Even the best teams aren’t close to a finished product less than halfway through their conference schedule, and the Cavaliers, as good as they are, are no exception.